This summer’s National PE Institute Conference in North Carolina goes down as one of the best conferences that I have experienced without actually attending in person. Through the live tweets, the live Periscope broadcasts, the shared google document (that’s an awesome idea) and the live stream of the keynote presentations I felt like I was almost there. Jarrod Robinson was the first Keynote speaker and shared “I Can’t Teach That” in which he looked at the things he could not normally do in the Physical Education classroom without calling upon one of his superpowers that allow him to become a much better teacher. 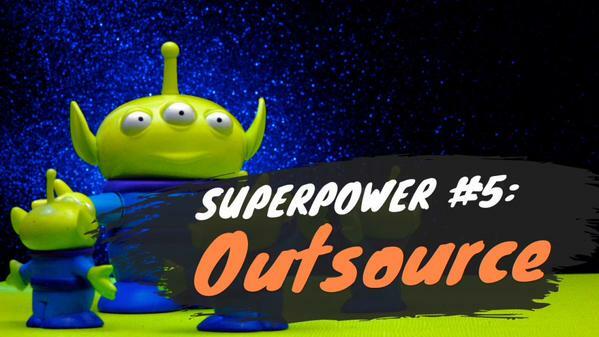 One of the 7 superpowers that Jarrod mention was that of outsourcing. Jarrod shared how his early attempts at teaching Yoga were poor, but he was able to improve by asking others to help him. He stated “..the way I make that possible is through superpower number five, which is outsourcing. Outsource it. Find an expert. Find someone who’s more knowledgable that you to teach it on your behalf.” Jarrod found the Yoga Studio app and used it to teach his class. Not only was the instruction outstanding, but Jarrod was able to join in, model the activity and expected behavior, and provide assistance to students. Essentially there were two teachers present, one teaching the material and one assisting students. The outsourced expert was the app! I recently experienced the power of outsourcing when I was in need of help with a podcasting project. As part of National Podcasting Day on September 30th I have recruited teachers from across the globe to provide me with student voices from each continent to answer questions. 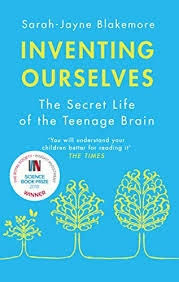 However, I was struggling to create the right kind of questions. I knew the theme – health, but just drew a blank when it came to creating those Andy-Vasily-like questions. So I fired off some messages and got some awesome ideas back, each set of suggested questions approached the theme of health from a different perspective and from the 30 or so suggestions I was able to collate a strong list for the students to answer. At my school we outsource a number of topics, inviting experts in their field to come in and present to our students in a way that we could never hope to do so. From our local community we are fortunate enough to bring in an infectious diseases specialist who has been involved in HIV/AIDS research from the mid 80’s. Her passion and knowledge is amazing. 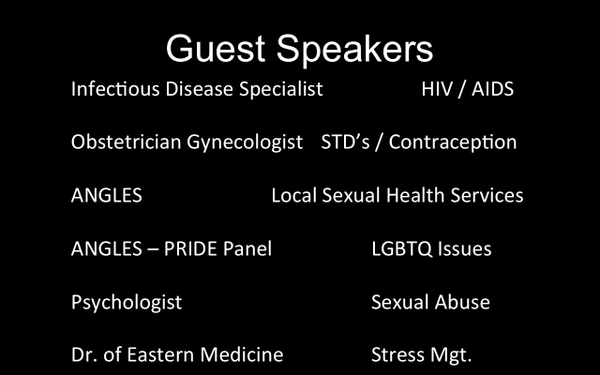 An OB/GYN talks about his experience with STI prevention and treatment and our local sexual health service provider visits twice, sharing information about their services and presenting us with a youth panel from within our community to talk about their experience as LGBTQ teens. A psychologist talks about her work with both the victims and perpetrators of abuse and we also recently added a guest speaker to present on the differences between Eastern and Western approached to health, wellness and medicine. Each presenter adds to the #healthed experience of our students in a way that the teaching staff could not.